For the past five years my extended family has done a Secret Santa. On Thanksgiving we all write down something we may want and pick names. Every year the first thing I write down is the same thing; yarn. I love yarn and getting it as a gift is wonderful. And that just what I got, six skeins worth. I was very excited and here’s proof. Needless to say I was excited. 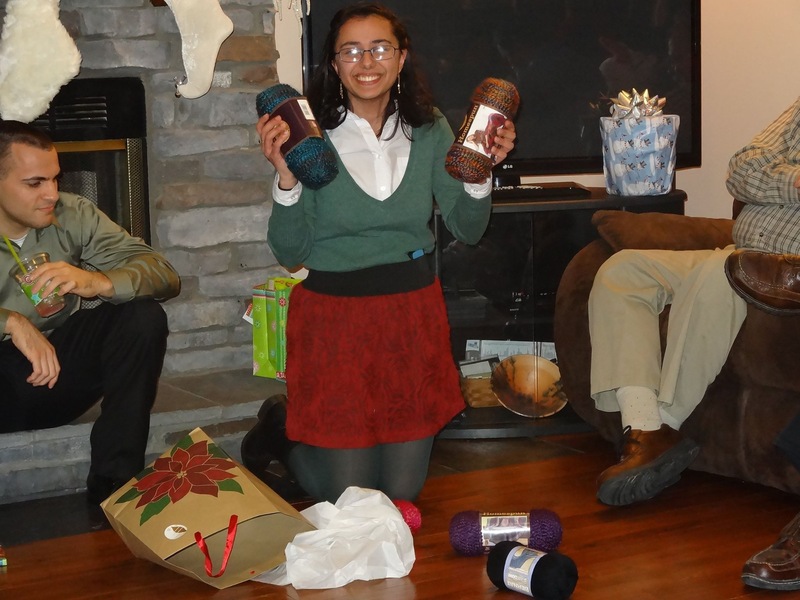 My dad put it on Facebook and commented “she loves her yarn.” Well I do love my yarn, thank you very much. 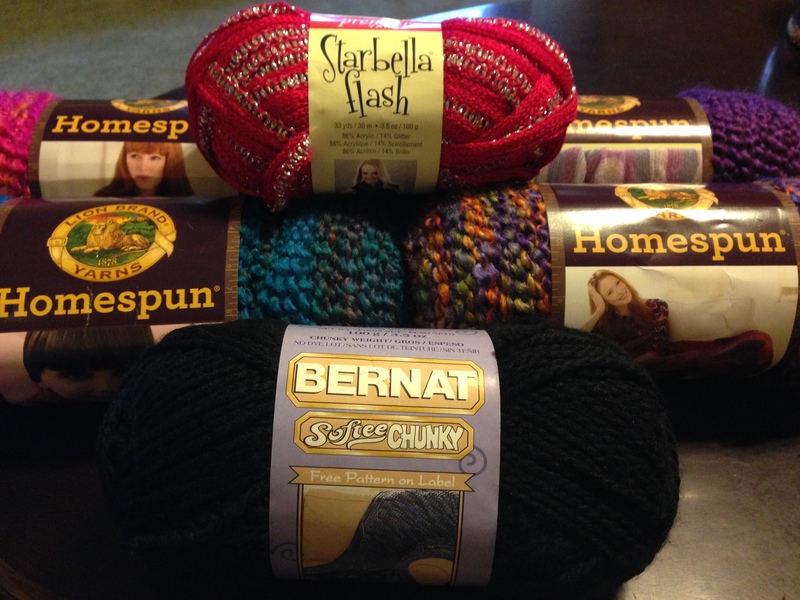 The best part was I received the yarn I love to work with, Lion Brands Homespun. All in beautiful colors that I would’ve picked myself. Before I can start using any of it I have to finish some projects that I have promised to make and today my dad asked for a new hat. It was a good Christmas and I loved that most of the family was able to get together and share the evening.